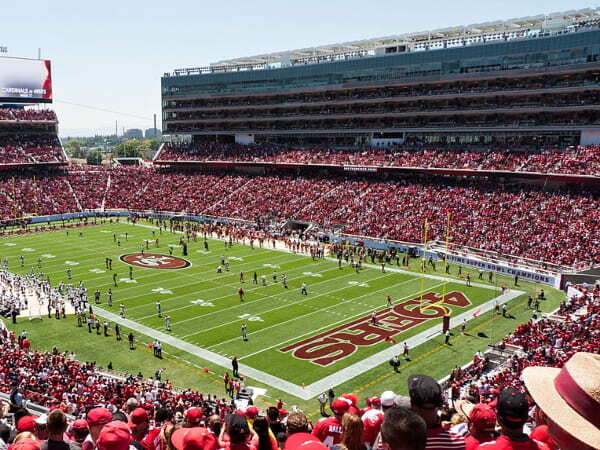 Whether you’re coming to cheer on the 49ers or to see your favorite band, you can rely on National Charter Bus for all of your transportation needs to Levi’s Stadium. We’ll find the best bus option for your traveling group to ensure a safe, enjoyable, and stress-free trip. Call our 24-hour reservation specialists at 415-226-7853 to book your bus today! 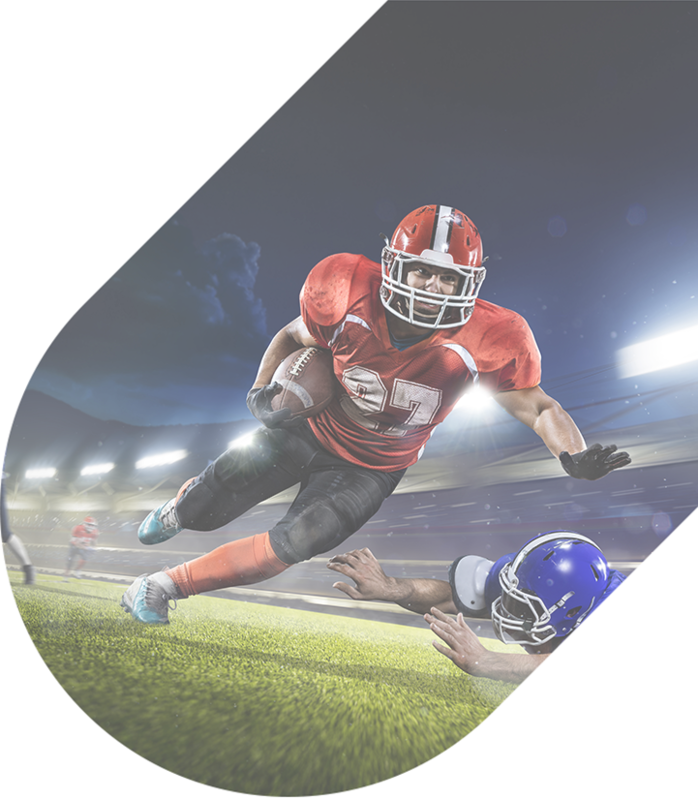 Home to the San Francisco 49ers, Levi’s Stadium offers many opportunities to enjoy a heart-pounding game throughout football season. Once the season has wrapped up, the stadium is open for various events from public concerts to private parties. No matter what brings you to Levi’s Stadium, National Charter Bus is prepared to accommodate your entire group with comfortable, clean, and reliable charter bus rentals. When you’re traveling with a group, keeping everyone organized can become a hassle. 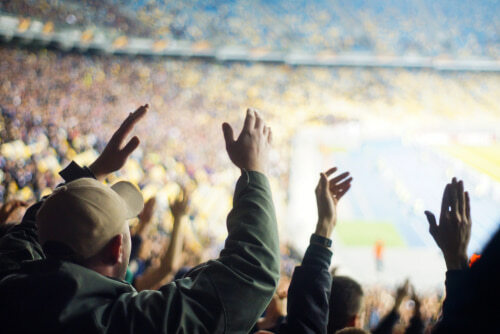 Deciding who will drive and who will volunteer their car can quickly complicate your travel plans and take the fun out of visiting a concert or sporting event at Levi’s Stadium. National Charter Bus takes the stress out of planning group transportation. We provide private bus transportation for groups of all sizes, from small bands of dedicated fans to large sports teams to concert fans and more. Our reservation specialists work with you to find the best bus for your needs at the best price, no matter what you’re traveling for. Small groups can enjoy a simple, compact minibus to help transport them out of San Francisco and around Levi’s Stadium, while large groups can enjoy a full-sized coach to keep everyone together as they travel to the stadium. On your bus, you can enjoy a variety of amenities. Keep players comfortable with extra legroom and reclining seats, ensuring that they’ll arrive at the stadium rested and ready to perform. Air conditioning is available on all models to help beat the California heat. Entertainment options such as WiFi, televisions with DVD players, and power outlets to keep devices charged may also be included on your bus model. To learn more about which model is right for you and to discuss your amenity options, call our 24-hour reservation specialists at 415-226-7853. There’s nothing like experiencing a heart-pounding 49ers game in their home stadium! Make your trip to Levi’s Stadium easier than ever with a personal bus rental from National Charter Bus. Whether you’re headed in from San Francisco or you’re coming from a further location such as Las Vegas, Seattle, or Phoenix, you can trust that your trip to Levi’s Stadium will be memorable when you book with us. Driving to the stadium in separate cars means that you’ll need to purchase separate parking permits and battle for individual parking spaces, all while worrying that someone might have gotten lost in your caravan. With a private minibus, staying organized while you travel to Santa Clara is easy. Tailgating gear can remain safely stowed aboard your bus while you relax and let a professional do the driving. 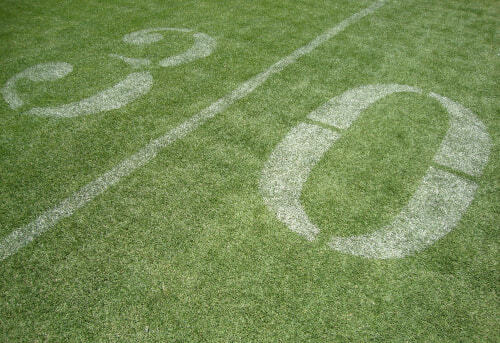 Celebrate to your heart’s content during the game knowing that your transportation back home is already covered. Before heading to the game, be sure to purchase parking in advance for your charter bus. Levi’s Stadium has a designated bus parking area, where your bus will stay during the game. When the 49ers aren’t playing, Levi’s Stadium hosts a variety of events throughout the year. National Charter Bus can provide transportation accommodations for any of these events, no matter how many or how few people you’re traveling with. Alternatively, you can host your own event at the stadium for a tradeshow, festival, wedding, or personal party. According to their website, Levi’s Stadium offers a combined 400,000 square feet of event space that can be used for intimate gatherings of 20 or large events of over 25,000. Once you’ve squared away your event plans with the stadium’s in-house staff, let National Charter Bus secure transportation for your event! Shuttle event attendees to Levi’s Stadium from nearby hotels such as Aloft Santa Clara, Hilton Santa Clara, or the Hyatt House San Jose. Or, transport guests down the peninsula from San Francisco with ease. Whatever your travel needs, we’ll make sure your event progresses as smoothly as possible. If you’d like to visit Levi’s Stadium but no event is scheduled during your stay in Santa Clara, check out the 49ers Museum! Perfect for visitors of all ages, the museum houses 20,000 square feet of exhibits dedicated to the past, present, and future of the San Francisco 49ers. The museum is open to the public Friday-Sunday from 10:00 a.m. to 4:00 p.m. Group rates are also available. Load your group onto your charter bus and head to the stadium to learn more about your favorite team! No matter what brings you to Levi’s Stadium, National Charter Bus is prepared to handle all of your group’s transportation. Call our 24-hour reservation specialists today at 415-226-7853 to learn more about our services and to receive a free, no-obligation quote for your trip!